Vanilla Moon in DLF Mall of India, Noida, has a beautiful and unique collection of bags and shoes. Their collection is versatile, with a lot of variety, and can be paired with ethnic and Western wear alike. Everything is entirely hand-made, and the bags are also woven and beaded by hand. We fell in love with how neat and elegant the stitching and make of each product was, setting it apart from all mass-manufactured products we generally see most brands selling. The pricing is a bit on the higher end, with their flats starting from INR 4,000, and bags starting from INR 13,000. 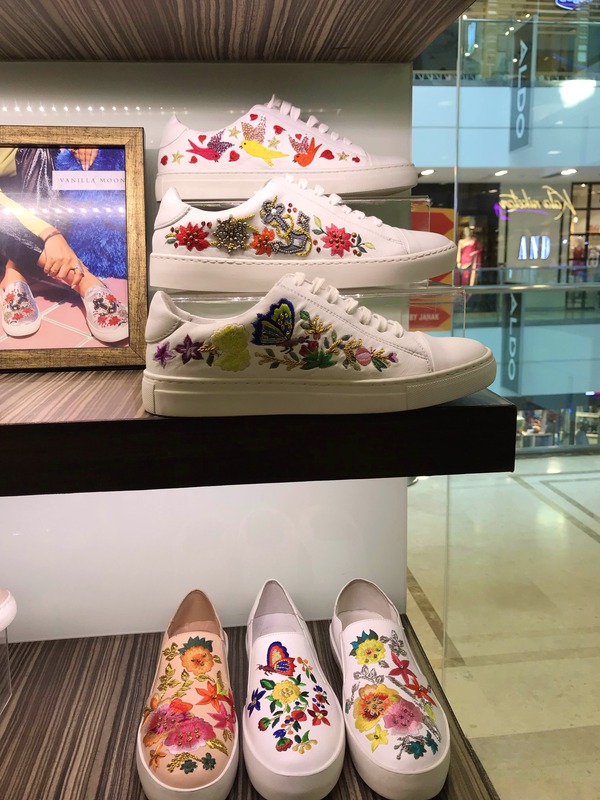 Their sneakers and loafers start from INR 5,000 and boots start from INR 8,000. They introduce a new collection every season, each, if not better, then just as great as the last. They also sell their products online, and we hear that they’ll begin taking requests for customisations soon. The pricing is a bit steep. If you’re looking for something more reasonable, you might be disappointed.